Pecos Bill Cafe is one of the Magic Kingdom's largest counter service restaurants, offering a TexMex-inspired menu of fajitas, burritos and rice bowls. The location is known for an extensive condiment bar with traditional toppings. There is ample seating in the various adjoining rooms and nooks and crannies, so go ahead and walk around to find a nice table. Although much of the indoor seating is not well-lit, outdoor seating is available if you want to be able to see your food. Location: Where Frontierland and Adventureland meet. 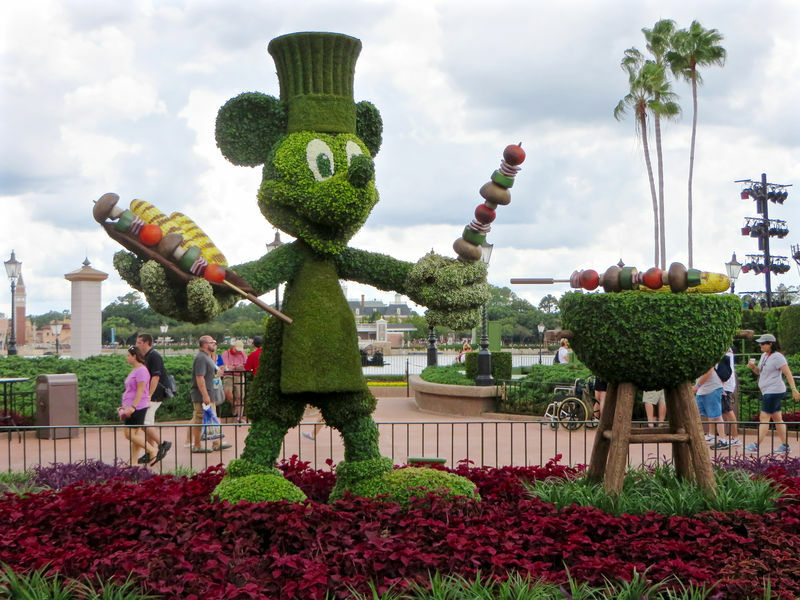 Served with Grapes, Carrots, and choice of 1% Mickey Milk, small Dasani Bottled Water or 100% Apple Juice. At this location: Opened as Pecos Bill Café with the park in 1971. In 1998 the restaurant was closed for an extensive refurbishment. 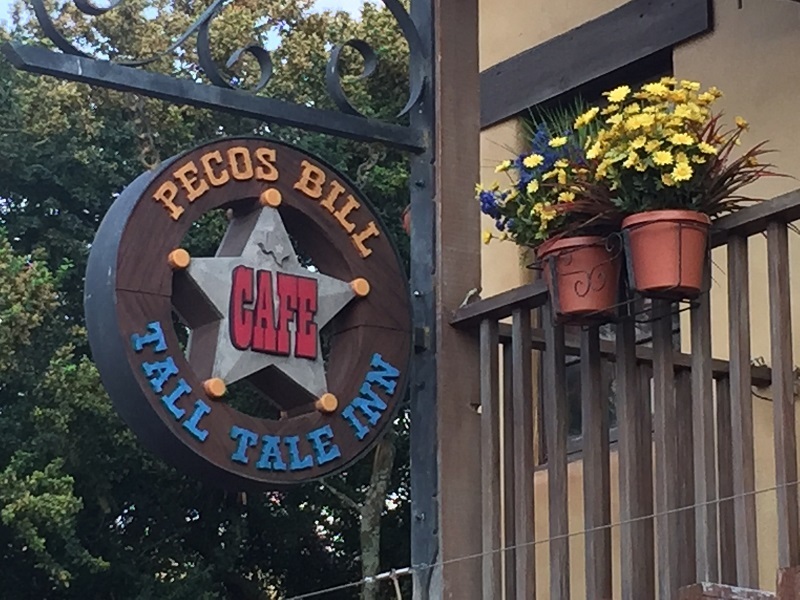 At that time the Mile Long Bar next door was closed as well and the space was incorporated by the restaurant which then reopened as Pecos Bill Tall Tale Inn & Café. In 2007 automated self-service ordering machines were added to the restaurant, the first at any of the Walt Disney World parks, though similar machines had been used for a couple years at Taste Pilot's Gill at Disney's California Adventure. The restaurant went through a complete menu renovation in October 2015, replacing the burger menu with a TexMex menu.